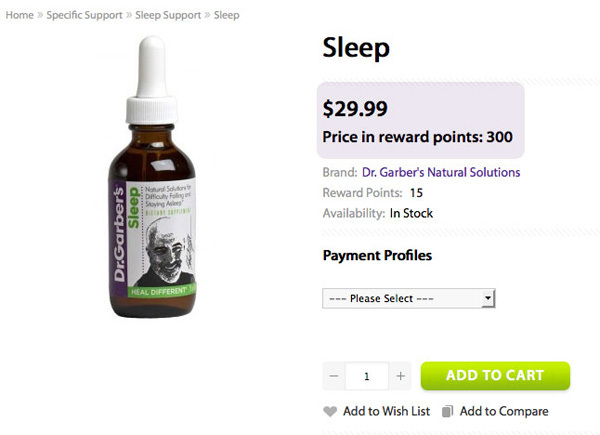 Welcome to Dr. Garber’s Natural Solutions Reward Program! To thank you for being a loyal customer, we are delighted to give you access to our Reward Program. Your shopping doesn't stop when you've completed your purchase. Redeem Points for free products whenever you want. Each Natural Solutions bottle is valued at 300 points. Create an account today and earn valuable points toward free Dr. Garber’s Natural Solutions Products - it's fast and free to join! Every time you make a purchase, you earn rewards Points. We will credit your reward account with 15 points for every bottle ordered. Login into your online account and track the number of points you've earned at a glance by selecting Your Rewards Points in the My Orders section. In the shopping cart, we ask you what would you like to do next? 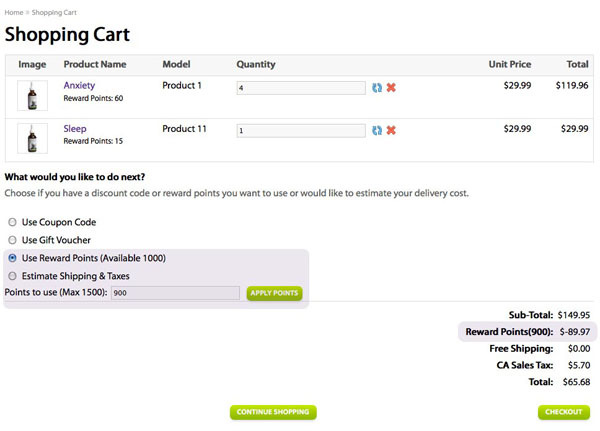 Select "Use Reward Points" and decide the number of points you'd like to use before moving to the checkout page and you'll see your reward points translated into a financial discount…. That's really easy!